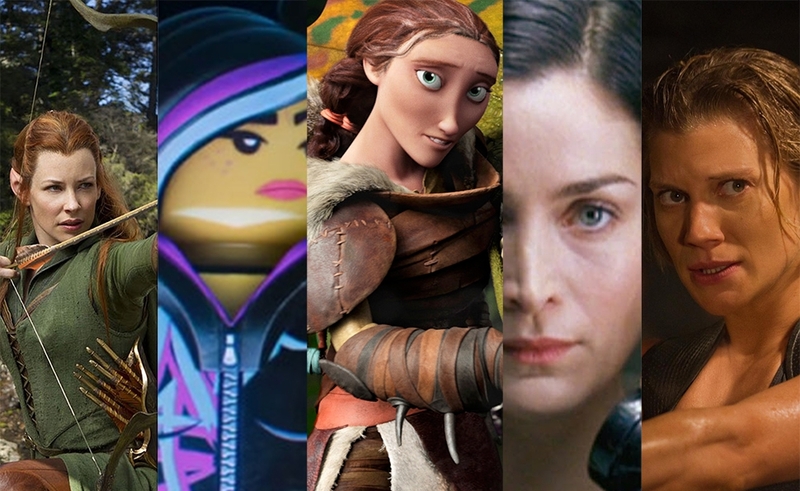 "We're Losing All Our Strong Female Characters to a Trinity Syndrome." For The Dissolve, Tasha Robinson writes about Hollywood's tendency to offer up women who are not as strong as they appear to be, and who are in fact there mainly to support the hero. "Release Dates Set on Steven Spielberg's Next Two Films." The Hollywood Reporter's Rebecca Ford says the director will helm a Cold War spy thriller followed by an adaptation of a Roald Dahl book. 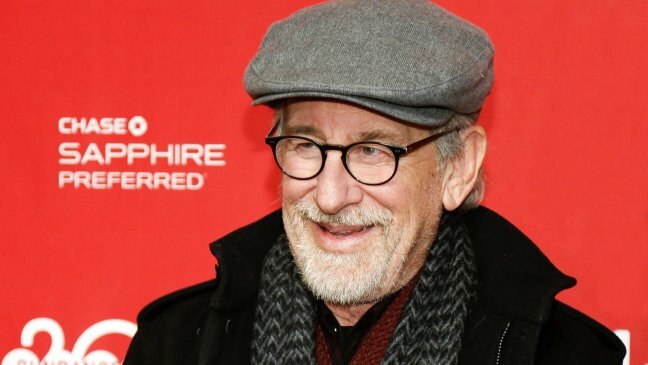 "An untitled Cold War spy thriller directed by Spielberg will hit theaters on Oct. 16, 2015, while the adaptation of Roald Dahl's children's book The BFG will open on July 1, 2016. Tom Hanks is starring in the untitled drama, which is based on the true story of James Donovan, an attorney who finds himself thrust into the centerof the Cold War when the CIA sends him on the near impossible mission to negotiate the release of a captured American U2 pilot. The Coen Brothers wrote the latest version of the script with a previous version written by Matt Charman. Spielberg, Marc Platt and Kristie Macosko Krieger will produce." 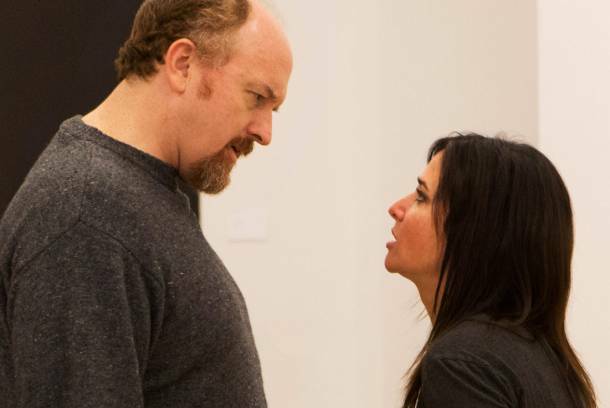 "For All of 'Louie''s Ambition, That One Ugly Scene Still Lingers." A conversation about Season 4, by Vulture recapper Danielle Henderson and RogerEbert.com editor Matt Zoller Seitz. "This is a minefield. And this show has given everyone an engraved invitation to go skipping through it. That's why I said last night, after watching the final two episodes, 'F--- you, Louie, and I mean that as a compliment.' I truly do mean it as a compliment. I don't think everything worked this year, but I mean it as a compliment." 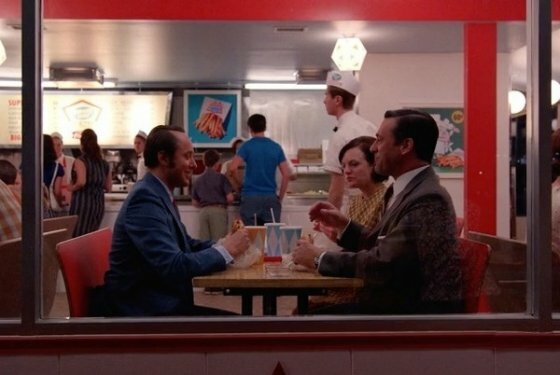 "'Mad Men': It's All About Family Values." For The Millions, Sonya Chung writes about a recurring, perhaps central notion in Matthew Weiner's historical drama. Related: "Mad Men"'s Sprawl Problem," by Andrew DeYoung of The Stake. "The Evolution of the Mental Hospital in Music Videos, From Björk and ‘N Sync to JJ." Self-explanatory. By Moze Halperin, for Flavorwire. "Sometimes the psych ward appears as a heavy-handed shout-out to a song’s lyrics, sometimes as hyperbole for a song’s emotional tone, and sometimes, crazily, for reasons of actual social importance. Regardless of the meaning, though, the recurrence of the stylized mental hospital in music videos proves that yellow wallpaper is the not-so-new black." Cover of the 'WKRP in Cincinnati' DVD box set, due for release by Shout Factory at some future date (as soon as they get the rather complicated music rights issues sorted out). A selection of Roddy McDowall's home movies, video copies of which were given to a YouTube user. (Hatttip: BoyCulture.) Among the featured celebs in this extraordinary 16mm color films: Paul Newman, Lauren Bacall, Ben Gazzara, Julie Andrews, Hope Lange, Natalie Wood, Rock Hudson and (pictured up top) Robert Redford.